I have been propagating Dwarf Riccia in my tank. I just let it float when I am trying to propagate it. It has turned into quite a pillow floating on the surface of my tank. In the same tank, I am propagating some Hemianthus Callitrichoides (HC) and some hairgrass. I suppose during a trimming session some clippings of these two plants made their way up into the bed of riccia. 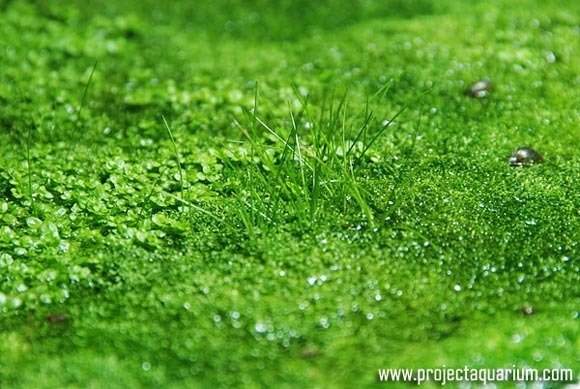 Since that time they have both transformed into their emersed version and are growing happily in the riccia as though it was soil. There are people using this exact method to create foreground cover with no water in their layouts. 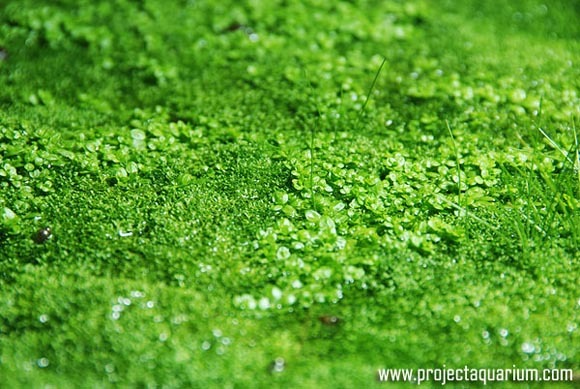 It is suggested that the time period required for Hemianthus Callitrichoides (HC) to turn from its emersed form to its submersed form is very small and the conversion creates little problem in plant look and health. With this point in mind people are creating their hardscapes and then planting Hemianthus Callitrichoides (HC) as if it was a terrestrial plant. They are then letting it grow through out the tank until the foreground looks acceptable to them. At that point, they will add water and hope that it makes the transition from emersed form to submersed form. No one person created this method but has been promote from time to time through the years. I personally don't see it being a practical way to approach a layout. 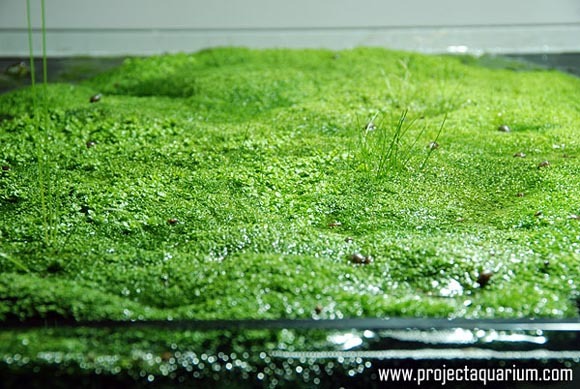 I have read a few articles on this approach and it while algae is not an issue (with no water in the tank, how could it be), there are other issues that are just as pain staking such as keeping the plantlets moist enough in the beginning stages or having issues with the transformation when water is eventually added. I always found Hemianthus Callitrichoides (HC) a healthy grower and never had problems growing it. Again, this is certainly an interesting approach, but not a practical one in my opinion considering how easily the plant grows submersed. Here are some pictures of my accidental emersed setup. Here is a shot of the "pillow" of Dwarf Riccia. It is about 18x18" in size at this time. Here is a close-up of the Hemianthus Callitrichoides (HC) in its emersed form. Hairgrass growing in an emersed form. This is picture of the bottom of the "pillow." 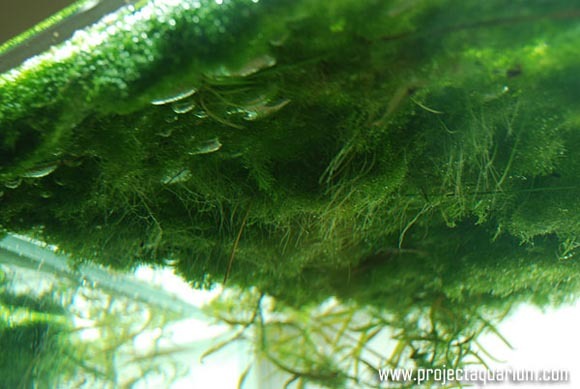 You can see the roots systems of the emersed plants growing through the riccia looking for nutrients.